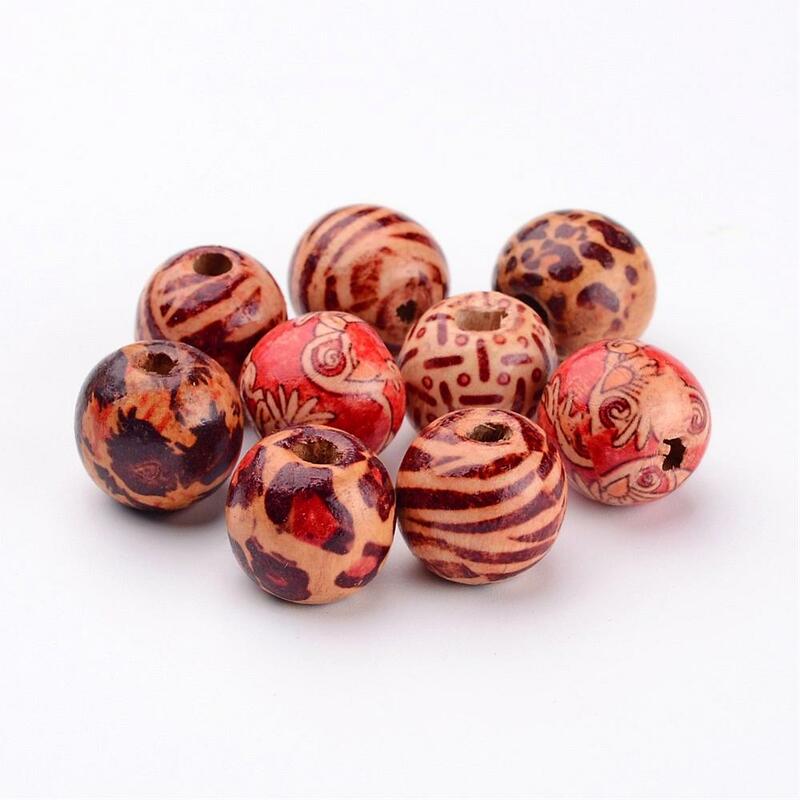 Round Printed Wood Beads,10 pc. Mixed Color Size- about 16mm in diameter, 15mm thick, hole-5mm. Home > Wooden Beads with larger hole to accomodate cord and leather > Round Printed Wood Beads,10 pc. Mixed Color Size- about 16mm in diameter, 15mm thick, hole-5mm. Round Printed Wood Beads,10 PC. Mixed Color Size-about 16mm in diameter, 15mm thick, hole-5mm.